Are you ready for a happier, healthier, and wealthier life?An expert in the field of personal development, author Carla Schesser breaks it all down for you. 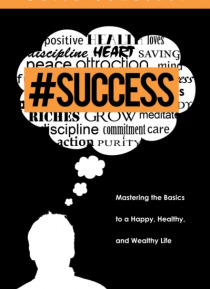 In #Success: Mastering the Basics to a Happy, Healthy, and Wealthy Life, she takes you back to the basics, so you can build a stronger foundation for your future. Once you learn how to identify the necessary fundamentals to success in every wa… lk of life, youre on your way to a better life. The next step is to learn how to apply the lessons that enable us to achieve the success that we seek. Schesser provides insight into what makes the ultra-successful the way they are, and how we can learn from them to improve our own lives.Success: Mastering the Basics to a Happy, Healthy, and Wealthy Life explores the impact our habitsgood and badhave on our lives. How much influence does our attitude have on our success? Does effective goal-making really make a difference? What about the incredibly popular Law of Attraction theory? Schesser covers each of these influences in great detail, finally illuminating the so-called secrets that the successful have known for ages. Using these principles, you canonce and for alltake control of your own life and become the person that you want to be.